Angela Phillips is a Professor of Journalism at Goldsmiths, University of London. This long-read is based on her inaugural lecture, 'On bubbles and streams: news audiences in the era of social media', which was held on October 25th 2016 at Goldsmiths. White House Correspondents Association President Jeff Mason speaks with the media at Trump Tower, Jan. 5, 2017. Credit: PA Images/Andrew Harnik. We are told we are living in a “post truth” world in which fake news proliferates and the established news media, once a bastion of civil society and a pillar of democracy, has lost its influence. As we should expect, alarmist statements such as these, have one foot in fact and the other resting on a shifting foundation of clicks, likes and shares. Alarming headlines work better on social media but they also reduce complex ideas to a series of half understood slogans. Much is changing in the way in which we find and share news stories but these changes are a product of many factors. Some rest in national media systems, others are a product of technical changes and all are influenced by, or have an influence upon, the shifting geopolitical situation. Fake news is not responsible for the rise of right wing populism in Europe and America but it has certainly fed the fire. The decline of trust in the mainstream media is genuine but it is not global. In the Northern European countries, where commercialisation has been tempered by firm statutory intervention and clear professional conventions, trust is still relatively high. In the rampantly commercial systems of the UK and the USA trust has plummeted. The UK press has the lowest level of public trust of any European country (with higher levels for TV) while the US media has low levels of trust for both TV news and the press (Aarts, Fladmoe, & Strömbäck 2012). “The monolithic empires of mass media are dissolving into an array of cottage industries…. Media barons of today will be grasping to hold onto their centralized empires tomorrow…. The combined forces of technology and human nature will ultimately take a stronger hand in plurality than any laws Congress can invent.” (Negroponte (1996 57-58). Much of the optimism about the democratising effect of the internet and social media, came from people who were themselves interested in political matters and who found the ability to get online and sound off without the intermediary of an editor absolutely exhilarating. It was these scholars and pundits who captured the attention of journalists, with an equal interest in embracing the Internet, who looked mainly for the most optimistic voices to echo their own enthusiasm. But they often forgot the basic principle that you cannot take yourself and your mates as a model for the way the world works. There is no doubt that for many people the abundance of the Internet provided huge new opportunities for information gathering, but there is now also a growing mass of large scale, critical, research that has been flagging up for a decade or so, that there is a democratic downside to the abundance online. Broadly they flag up the problem that the greater the available choice of media, the less likely people are to pay attention to news at all. In a low choice environment, even those who were not interested in news, tended to be reasonably well informed about major news events because they would see the news headlines before switching channels. In a high choice environment it is very easy to avoid watching the news. In a six country study the USA had, by a very long way, the lowest level of TV news consumption. It is also the country where low levels of education are most likely to be matched by low levels of news knowledge. 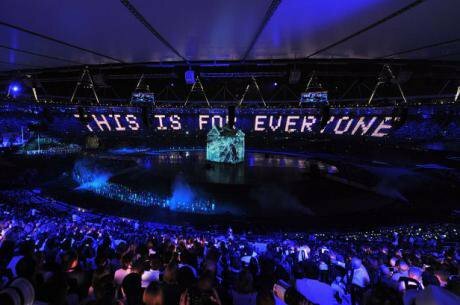 In this environment the growth of personalisation, via social media, has dramatically changed the way people understand the world. 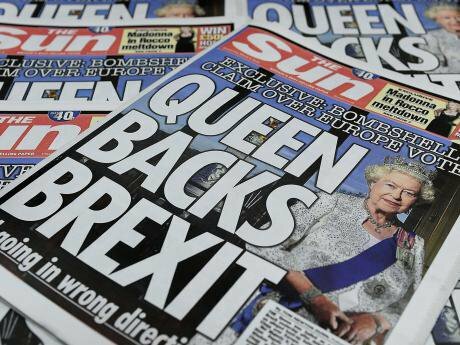 The Sun's headline 'Queen Backs Brexit' was found to be "significantly misleading" by Ipso. The Pew Research Centre has been monitoring news consumption and found that in 2016, the majority of US citizens (62%) were receiving news on social media and 18 % are doing so often. Usually this news consumption was unplanned. The users of social media (usually Facebook) don’t go to their news feed in order to read the news. They just bump into it there. Women and young people are particularly likely to find their news in this way. These figures are not out of line with other technologically advanced countries (Reuters 2016) but they have to be seen in the context of very low trust in mainstream news in the USA and very low levels of news consumption, in particular amongst those with low levels of education. People who have no interest in news and no background knowledge of news events, now get news stories passed on to them from their friends and relations. The news may well come from a mainstream source but it is consumed completely out of context and often with a negative comment attached. In some cases the stories may have been invented but they are presented as news in exactly the same way as a news story from an established news organisation. The concept of a filter bubble was coined by Eli Pariser, who noted that his Facebook feed was filtering out friends whose political views were not in accordance with his own. The same effect occurs on Google where the algorithm that organises search is personalised, to ensure that you get news that fits in with your own concerns, at the top of your news feeds. Personalisation is a means of helping people to sort material from the abundance of the Net but because it is organised by a computer programme that learns from our every, interaction, it tends to narrow down our searches to the point at which it is unlikely that we will come across information that makes us question our choices. The effect of the Filter Bubble is to narrow our interests. This machine learning is organised around not only our own personal choices but also the personal choices of our closest friends and this creates a double wrap of insulation against the world. Research into group behaviour has demonstrated just how much we are influenced by others. Most people prefer to avoid confrontation, so they tend to temper their views, or remain silent, when confronted by others with differing views. Researcher Noelle Neumann referred to this phenomenon as “The Spiral of Silence”. On Facebook this effect is exaggerated. People on Facebook tend to give way to the loudest voices. They are even less likely to venture an alternative view online than they would be around a dining table. This means that social media has become a perfect haven for bullies. Strident people, making extreme statements, often hear responses only from the people who agree with them. Where comments made are out of line with the dominant view, it is not uncommon for others to gang up and chase them away. The result is a reinforcement of the strident view. People who live inside these ‘bubbles’ may have very little idea that their beliefs are out of line with the dominant view. They have come to believe in their own propaganda. Where people have little exposure to mainstream news and tend to get their news only via the selection of their friends, they have little opportunity to test out their beliefs and into this structure it is easy to see how fake news could be used as a means of propaganda. So it is particularly worrying that those most likely to be getting their news via social media are young people, many of whom are just beginning to form their opinions. The Internet allows every voice to appear equal because everyone has access to easy to use, sophisticated, web applications and social media. For those who feel that the mainstream media fails to give them a voice, this equality of access has opened the door to new possibilities for directly influencing audiences. However the ability to speak does not equate with the likelihood of being heard. Most individuals with an axe to grind will simply sit on Twitter churning out one liners @their friend and foes in the hope of being followed. It takes a degree of sophistication, significant networks, or an extraordinary stroke of luck to promote a single post or tweet to more than a handful of friends. However the means to develop a following are freely available for those who do have the necessary personal influence. Celebrities are adept at using their personal following to talk directly to their fans, burnishing their image without the interference of mediators such as journalists, who might prefer to dwell on their cellulite rather than their new hit record or starring role. As a result, any celebrity with a fan base will be sought after by companies paying them to tweet material about their products. The companies understand that it is the power of the influencer that matters in the social world, more than the power of the message. Politicians also try to take control of their own messages by speaking directly to voters. This will only work if they are themselves charismatic influencers. A party apparatchik, churning out carefully crafted messages is unlikely to get much traction. President Obama was the first to use the Internet successfully in this way, more recently Donald Trump in the USA and Jeremy Corbyn in the UK, have both made a particular point of campaigning directly, to supporters and party members, over the heads of the mainstream. A national survey conducted on 6-12 December 2016 found that 52% of Republicans falsely believed that President-elect Donald Trump had won the popular vote. This direct approach works very well for appealing to, and growing, base support because it cuts out opposing voices, ensures that the messages are heard without either interference or challenge, and exaggerates the popularity of your own position among supporters. Very often supporters, caught inside their own filter bubbles (see the last post on this subject), will not be exposed to opposition voices because they are getting all their campaign material inside the bubble. Trump has been hugely successful at using social media to speak directly to disaffected Americans but he had a number of additional factors to help his position. The first is that he was already a celebrity with a fan base from his role as the anchor of the TV show, The Apprentice. He was also a regular target for the derision of the political and media establishment and he understood how to manipulate social media so that his Twitter messages would be taken up and spread by the very journalists he affected to despise. Social media works best with messages that appeal to the emotions. So messages that merely correctly produce data are not nearly as potent as hate messages that may not be based in truth but are capable of firing people up. This is why Trump has done so well and why Corbyn, so far, has failed to break out beyond the circle of his core supporters. 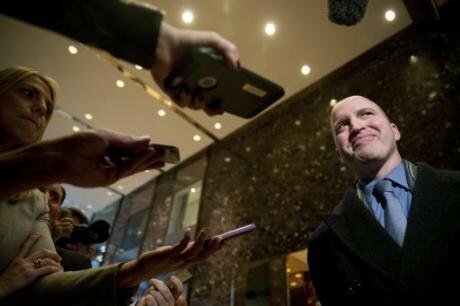 It was the combination of appealing to the base, while at the same time outraging the news media, that ensured everything Trump said was spread far beyond his own power base. This means that he benefited from the intensification effect of the bubble as well as the spreading effect of the mainstream. MSM may be critical of him but as long as it transmits the message then it will spread. In the event Trump was quoted about Hilary Clinton, in mainstream news, more often than she was quoted about her own policies. Given the tendency for the US media to produce negative, rather than positive stories, Trump’s propensity for producing negative tweets about his opponent meant that he automatically had the upper hand. The media reported the tweets even when they were clearly outrageous. Then both the tweets and the reports would be passed along on social media to Trump followers and also, via the mainstream, to those who had no reason to support him. This just produced an impenetrable fog of negativity that enveloped the Clinton campaign. Jeremy Corbyn has, so far, been a lot less successful in his attempt to speak directly to the electorate. In order to spread beyond the base of loyal supporters, he needed the cooperation of the mainstream media. Trump manipulated the mainstream to create outrage. Corbyn avoided the main stream. During the EU Referendum campaign, Prime Minister, David Cameron appeared in 25per cent of items. Corbyn in 6 per cent of items. When Corbyn managed to create outrage in the press, it was almost always by accident rather than design, so that he was not actually in control of his message. The messages that travelled tended to hold him up to ridicule rather than establishing him as a fighter or a maverick. This tendency to spread messages that move the emotions, rather than the mind, has meant that the power of the Net has been harnessed more to the spreading of disinformation than the diligent mining of good information. 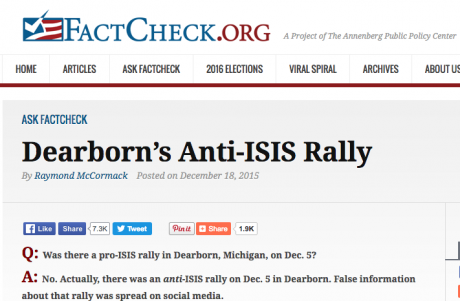 Those Americans who were least likely to have been ‘inoculated’ by a steady diet of verifiable fact were the ones who were least resistant to the wave of fake news that was circulated online. Trump won 2:1 amongst those without college degrees. These are the people who are least likely to encounter mainstream news in any form. There have been calls for social media platforms to prevent ‘fake news’ getting through. However, in the UK, the right wing mainstream press was itself a key driver of fake news about Europe, which was then passed on via the platforms. In a fiercely competitive commercial environment, where news is used as bait to attract audiences, the proliferation of sensationalist news is an inevitable by-product. Censorship is not the way to stop unreliable news getting through. The only way is to ensure that there is always a more trusted alternative that people can rely on. As global social media companies move into a monopoly position in news distribution in Europe, the publicly funded broadcasters will have to do everything in their power to earn and retain public trust. This doesn’t mean moving towards a right-wing populist agenda. It means having the courage to take apart every statement that is made by politicians and pundits and to stand up for evidence-based reporting and democratic values. As with any computer based system it is worth remembering the old adage: junk in junk out.